What Do Charcoal Masks Really Do? Charcoal adsorbs oil, bacteria and microparticles from the skin. It works like a magnet, attracting and lifting dirt from deep within the pores. Charcoal masks are ideal for those with oily or acne-prone skin. 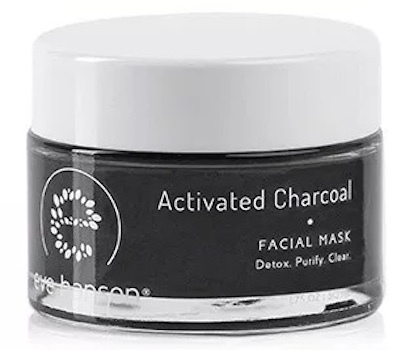 Individuals with sensitive or dry skin can also benefit from hydrating charcoal mask formulations. Charcoal is a highly effective natural detoxifying agent. It is commonly used for teeth whitening, water purification and as an emergency treatment for overdoses. Charcoal is also increasingly used in skin care, although its efficacy has not been clinically proven. It is often heat activated to increase its potency and is typically made from bamboo, hardwood or coconut. When applied to the skin as a mask, activated charcoal is adsorptive, drawing dirt, bacteria, oil and microparticles away from the surface of the skin. Charcoal binds to dirt like a magnet, which helps to extract buildup from deep within the pores. 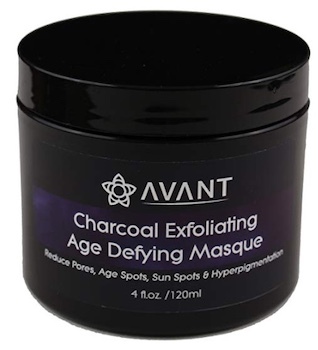 After using a charcoal mask, the skin is thoroughly cleansed, more luminous, and the pores appear smaller. Blackheads occur when oil becomes plugged in a hair follicle. Charcoal is ideal for targeting blackheads as it reduces oil and buildup on the skin. 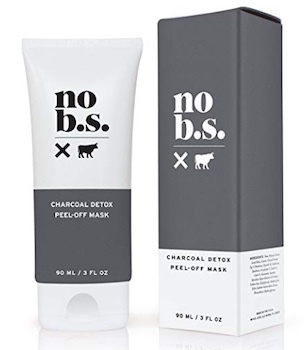 Peel-off charcoal masks are particularly effective at unclogging pores and removing blackheads, as the unwanted detritus clings to the mask when peeled away from the face. 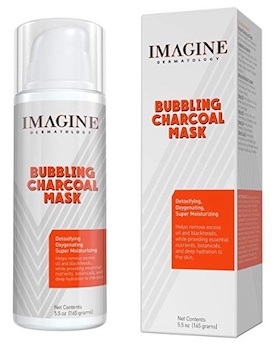 Specially formulated for those with oily skin, this mask combines charcoal with kaolin clay and salicylic acid to target blackheads and acne. Extracts of tomato, watermelon, aloe and pumpkin offer soothing and hydrating properties. The mask boasts more than 96% natural ingredients. Ideal option for the budget-conscious consumer. Leaves skin feeling soft and clean. Perfume may irritate some skin. Some users may notice a flare-up of acne or blackheads before skin improves. 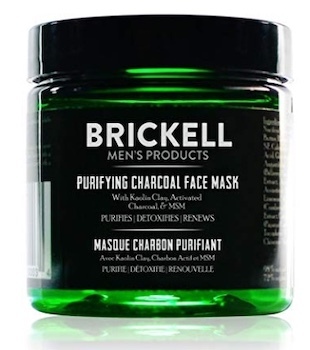 Charcoal powder penetrates the skin deeply to draw out stubborn blackheads. Clinique’s formulation is particularly recommended for people with sensitive skin who are looking for thorough cleansing. Reduces the prominence of pores and blackheads. Some users note that it can leave the skin feeling dry. Activated charcoal in this formulation draws dirt and blackheads from the skin, while squalane leaves it feeling smooth and hydrated. Garden cress extract helps to improve uneven skin tone. Suitable for all skin types. Expect amplified results with regular use. No parabens or artificial fragrances. The peeling process may be painful. The formula can be gooey to apply. Activated charcoal can absorb thousands of times its own weight, making it a perfect skincare solution for cleansing the excess oil, bacteria and dead skin cells that provoke acne. If your prone to breakouts these masks can help keep the skin clean and prevent build-up. 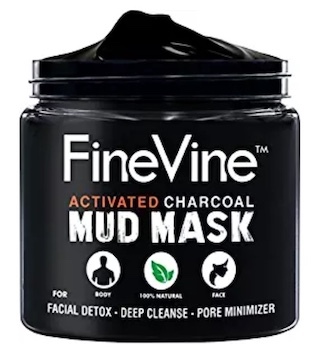 This mask combines activated charcoal, bentonite clay and kaolin clay for the ultimate cleansing experience. Ideal for those with particularly oily skin. Cucumber extract delivers soothing, anti-inflammatory effects to reduce redness in the skin, while green tea extract delivers antioxidants. Leaves the skin looking radiant. Packed full of organic botanical extracts such as apple, spirulina and calendula. Slightly smaller jar than other brands (1.75 oz). Some users find the mask has a slightly rougher texture. 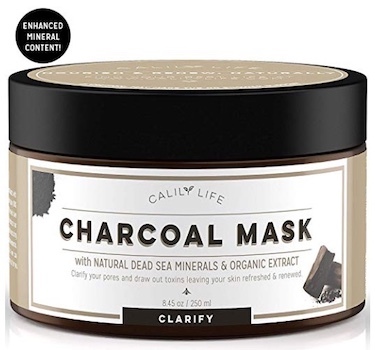 Carefully crafted with organic activated charcoal and kaolin clay, this mask powerfully draws impurities from the pores. Calily’s point of difference are its aloe and chamomile extracts, which offer deep hydration to soften the skin, reducing the appearance of fine lines. Aloe leaf juice helps to further reduce acne. Contains dead sea minerals to nourish the skin. Not all of the ingredients in the mask are natural. Some users experienced mild irritation following use. This formulation is perfect for those who want a bespoke spa experience. 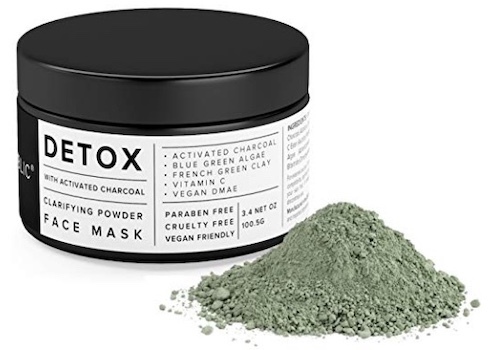 Detox’s mask comes in a powder form, liberating you to choose any liquid you desire (think water, coconut milk, yoghurt, even coffee) to blend your own fresh mask to your taste. The powder itself contains activated charcoal to target acne, vitamin C to help smooth fine lines and spirulina to leave the skin nourished. Targets acne, large pores, excess oil and impurities. Some users find the formulation slightly drying. Well-formulated charcoal masks should leave the skin squeaky clean without feeling dry or tight. Those with skin that tends towards dryness can rest assured that these masks deeply yet gently cleanse dry and sensitive skin, leaving it nourished. This mask is made with sunflower seed extract, which contains essential fatty acids to create a natural barrier for the skin. Kaolin and charcoal powder draw out dirt from the pores, while acai extract restores nutrients and antioxidants. No synthetic parabens or fragrances. Botanical extracts such as honeysuckle extract add extra care for dry skin. Some users notice a temporary tight feeling after use. This creamy mask offers healing and renewing properties thanks to the addition of organic coconut oil, sunflower seed oil and beeswax. Ideal for those seeking to deeply cleanse and purify dry or aging skin, the formulation also promises to smooth out fine lines and wrinkles while reducing the appearance of hyperpigmentation and age spots. Boasts a slew of botanical extracts including jojoba oil, borage oil, flaxseed oil, and evening primrose oil for deep hydration and protection. Some notice a crumbling sensation as the mask dries. Some users find the scent overpowering. Activated charcoal is ideal for balancing oily skin and overly sebaceous pores due to its adsorptive nature. For those who want to correct super greasy skin, these masks offer potent cleansing qualities. Activated charcoal and dead sea mud penetrate deep into the pores to attract and absorb dirt, oil, microparticles and shift dead skin cells. Shea butter and aloe vera restore smoothness and softness without greasiness. Super quick — can be rinsed off after several minutes. 100% natural formulation rich in powerful botanical ingredients. The natural formulation can render the mask prone to mold–store in a cool, dry place. Some users note mild inflammation after application. Bubbling is the most novel way to deliver excess sebum from the skin. After application the formulation turns to dense foam, oxygenating skin and forcing out oil hiding deep within the pores. Made with organic ingredients and free of fragrance, this mask is perfectly suited to those seeking a powerful yet gentle way to manage oily buildup. Shea butter and rosehip provide hydrating and softening properties. Hibiscus extract provides anti-aging care. Care is needed to avoid bubbling around the eyes, nose and mouth. Some users note the formulation feels itchy. 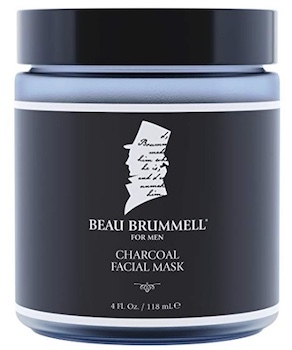 Activated charcoal provides invigorating benefits for men’s skin. Men’s skin is usually 25% thicker than women’s, with a tendency towards larger pores and greater sebum production. 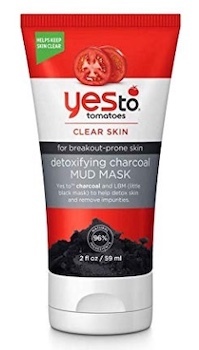 When used regularly, activated charcoal masks help keep skin clear and shine-free with a healthy glow. Specially designed for men, this mask aims to pull dirt, excess oil and impurities from the surface of the face. The unique formulation includes hyaluronic acid and aloe vera to deliver hydration and anti-aging benefits. Firms, hydrates and evens skin tone. Vitamin E helps to repair skin cells. Some users report mild irritation immediately after use. A powerhouse trio of charcoal, kaolin clay and bentonite clay work to pull out grime deep from the pores. Rosemary extract offers antioxidant properties to keep free radicals at bay, while the addition of lavender soothes and calms the skin. Can leave skin with a slightly tight feeling. » Want to learn more about the best face masks for acne? We looked into the best clay, exfoliating, and homemade masks to add to your skincare routine. Charcoal is a natural purifying agent. When applied to the skin as a mask, it draws out the dirt, oil, and dead skin cells that block pores and cause blemishes and dull complexions, among other things. For those with blackheads and oily or acne-prone skin, regular charcoal masks can help keep the skin clean and radiant. While many find charcoal masks a beneficial addition to their beauty regimen, others do not see visible results. Choosing a high quality product made with dermatologically approved ingredients is vital to achieving a beautiful outcome. Emma Stone, PhD, is a contributing health and wellbeing writer for Zwivel.